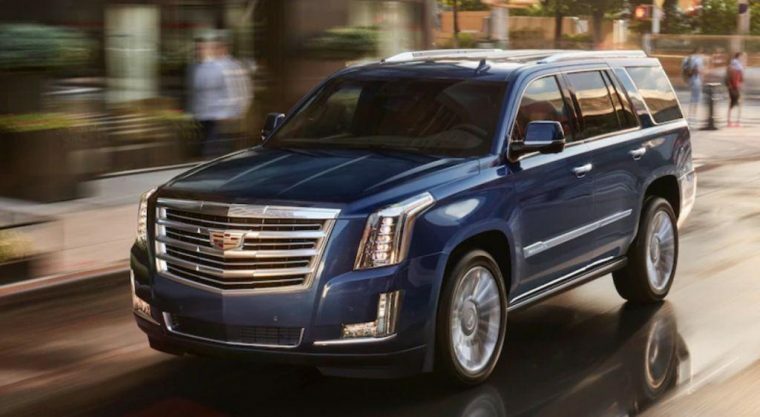 The 2019 Cadillac Escalade expands upon its legacy of providing large families the space they need along with the posh cabin and latest technology that they crave. 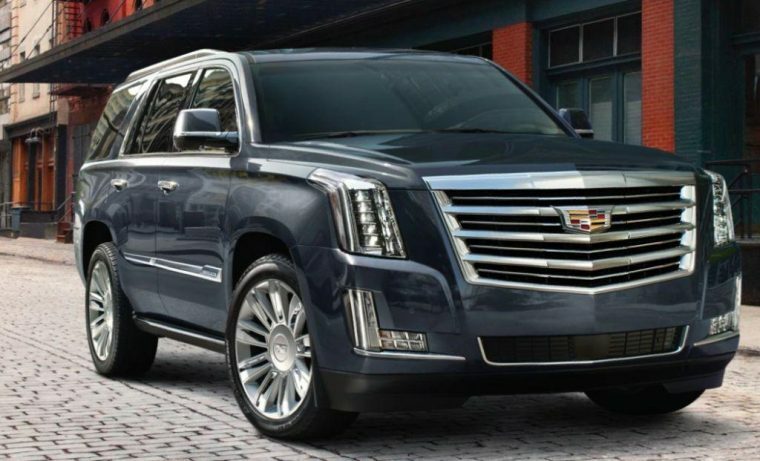 The 2019 Cadillac Escalade is available at four trim levels: Escalade, Luxury, Premium Luxury, and Platinum. Every Escalade model is available in either two-wheel drive (2WD) or four-wheel drive (4WD). What’s New for the 2019 Cadillac Escalade? Although there are no major changes to the Escalade for the model year, there are some subtle ones. The 2019 Escalade offers two new colors: Manhattan Noir Metallic and Shadow Metallic. A hands-free tailgate with a logo light is now a standard feature across trim levels. Additionally, a new sport package is available on all but the base version. The 2019 Escalade is stylish and purposeful on the outside. Heated driver-side-auto-dimming power-folding outside mirrors with integrated turn signal indicators enhance visibility when driving through inclement weather. Chrome bodyside moldings and a chrome roof-mounted luggage rack add contrast and practicality to the vehicle’s exterior. An available power sunroof opens up the cabin to the outdoors. The 2019 Cadillac Escalade boasts excellent potency for each journey. A 6.2-liter V8 engine under the hood pairs with a ten-speed automatic transmission to generate 420 horsepower and 460 lb-ft of torque. Drivers have their choice of either a 2WD or 4WD drivetrain, depending on your preference for traction. The model also has a trailering capacity of 8,300 pounds, so you can bring along a small camper or boat on your family’s next getaway. 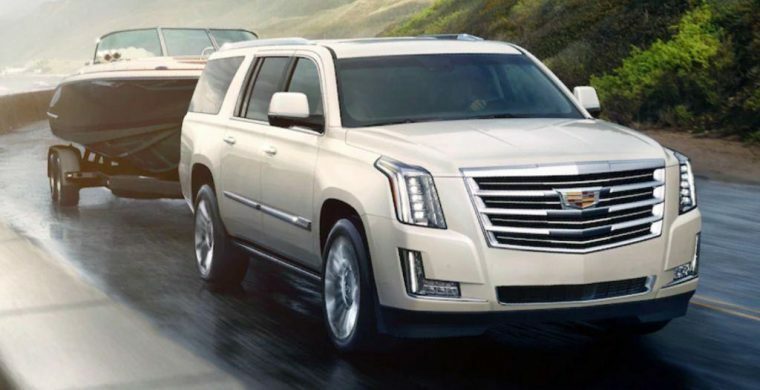 The 2019 Escalade provides slightly different mileage depending on which drivetrain you select. When equipped with 2WD, the 2019 Escalade attains 14 mpg in the city and 23 mpg on the highway. When equipped with 4WD, the model yields 14 mpg in the city and 21 mpg on the highway. True to the brand’s characteristic opulence, the inside of the 2019 Escalade is comfortable and refined. Heated and cooled driver and front passenger seats, as well as heated second-row outboard seats will help you and passengers stay at the right temperature. A 16-speaker Bose Centerpoint Surround Sound audio system comes standard on all trims. You can also select the available rear seat entertainment system with Blu-Ray/DVD player, to help backseat guests stay engaged on long drives. Upgrade to the Platinum trim to enjoy a leather-wrapped console and doors, as well as unique exotic Sumi Black Tamo Ash wood trim. The 2019 Escalade incorporates an array of standard features to shield you from harm. Hill Start Assist will give the SUV extra stability when navigating inclines. StabiliTrak electronic control stability system with traction control enhances the SUV’s grip on slippery roads. Cadillac has also incorporated Teen Driver technology, to help you monitor your young driver’s habits even when you’re not riding in the seat next to them.